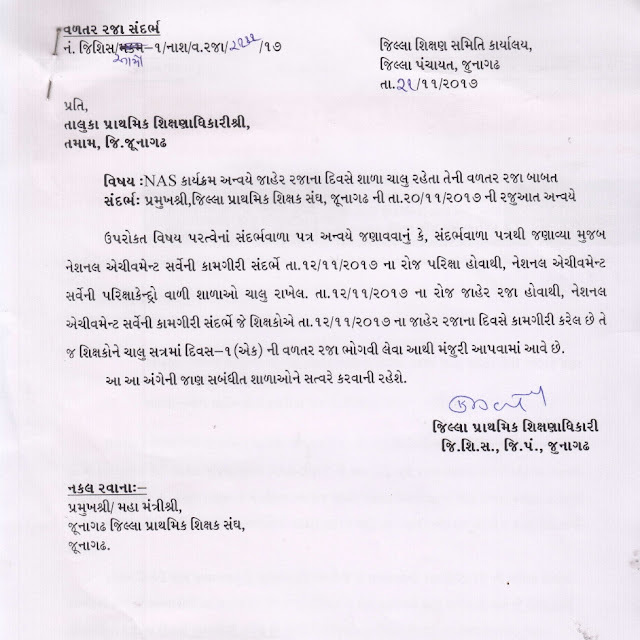 JUNAGADH - NAS ANVAYE VALTAR RAJA BABAT PARIPATRA DATE -21-11-2017. ~ :: GujaratGk :: Official Site :: Gujarat's No. 1 Educational Website..
JUNAGADH - NAS ANVAYE VALTAR RAJA BABAT PARIPATRA DATE -21-11-2017.